Mike is the online marketing master, famous for helping business owners improve their online marketing results. Mike’s no-nonsense approach centers around marketing principles that eliminate overhead and wasteful ad spend. 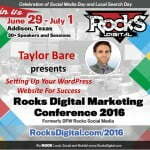 With more than 15 years of local media experience under his belt, Mike is a long-standing Dallas/Fort Worth Search Engine Marketing Association board member and popular presenter at Pubcon, the World’s Leading Digital Marketing Conferences, on Local Search and Link building. 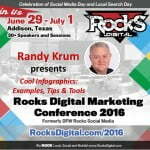 Mike also helps run the State of Search Digital Marketing Conference in Dallas. Mike has a level of passion for SMBs that an incredibly small, select few can match. Since 2000, Mike has improved sales and results for brands all over North Texas and beyond. Mike is Founder of Status26 Inc., a digital marketing incubator. Appearing higher than the competition in local search results is becoming increasingly more difficult. For years you have heard that you need to build “real company $#*!” when marketing local businesses, but what does that really mean when it comes to your marketing platform and processes? Mike Stewart will demonstrate real world examples and tactics for how to rank locally and organically, dominating the SERPs while preparing the brand for the future of personal agents and the depreciation of “backlinks”. 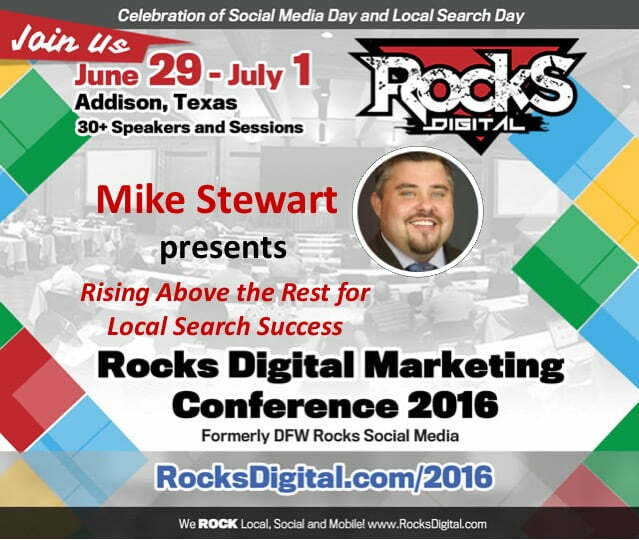 Get to know what @RealMikeStewart knows about #LocalSearch at #RocksDigital 2016!